ich wünsche euch einen schönen vierten Advent! happy 4th advent to you! 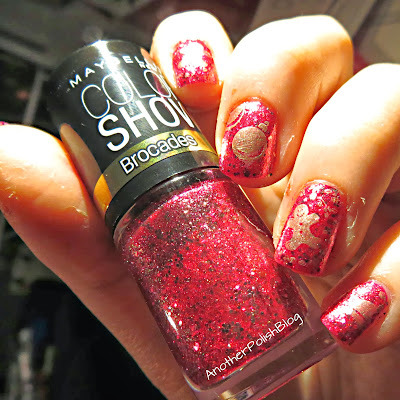 Today we are showing you our nail art for "Christmas". 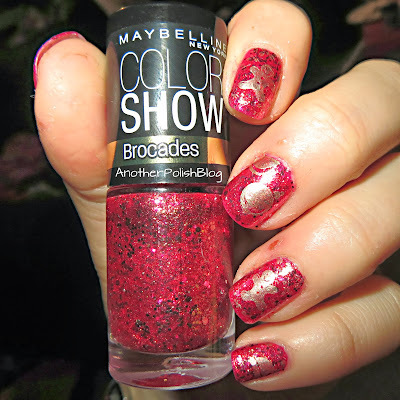 For me that means red and gold and glitter. 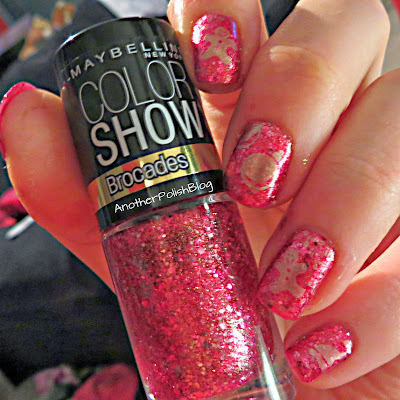 And that's just what I did with my nails. Mir gefällt es wirklich gut, auch wenn es nichts aufwendiges ist. 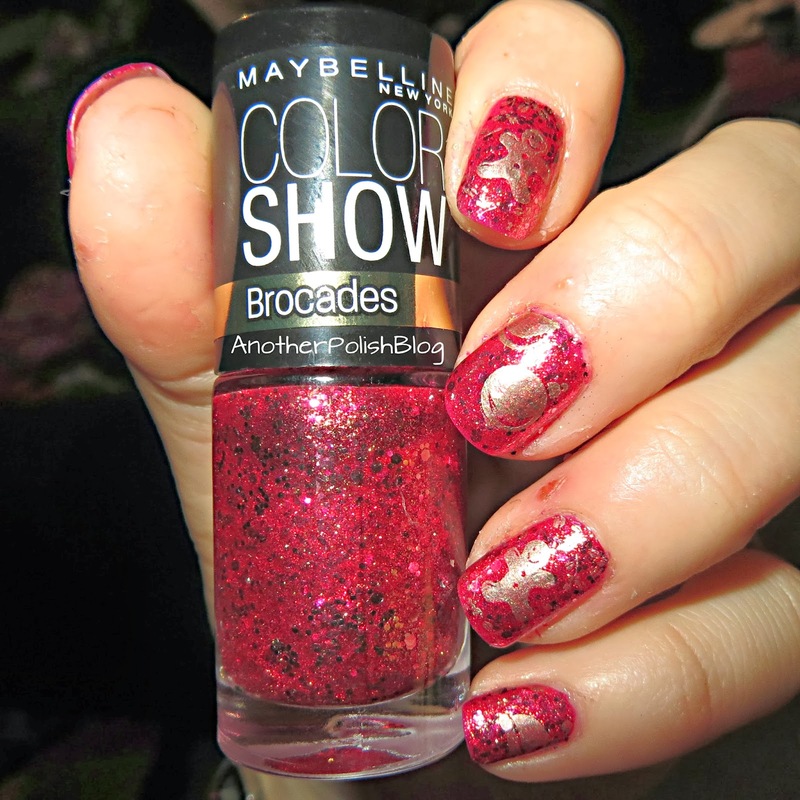 I just had to use one of my new Maybelline Brocades for today. I used two coats. After that I stamped on the images using Barry M gold foil and the Bundle Monster plates 214, 222 and 125. After that I applied a topcoat and that's it. Even though it's nothing fancy I really like it! Dein Design ist auf jeden Fall total schön geworden!